Seems like we just put away the holiday gifts and now it's time for another loving, caring and gifting celebration day; and barely a month has passed. The stores are full of hearts and flowers in every shape, color and size. What is a person to do? Make it, bake it, take it, stick a heart in it, on it or near it and it's ready to go for the ones you love. Like, recycled old valentines or any red, pink or fuschia related item will suffice. Friend and family love expressions of love in any way you choose to present them. Try some of these and let me know your favorites. Cut your paper napkins (any shade of red or pink will do) into hearts or find a rubber stamp or heart stickers to decorate plain white paper napkins with hearts. Mix red hot hearts into applesauce, yogurt or even cocoa. It’s oh so good in the winter. A jello salad is always a surprise these days and those jiggly red raspberry, strawberry or cherry ones could make any one smile this Valentines. Put pink frosting topped with the little hearts that provide a note on them on top of your favorite cake or cupcakes. Try adding cherry juice to the cake batter to make it, well...pinker too. 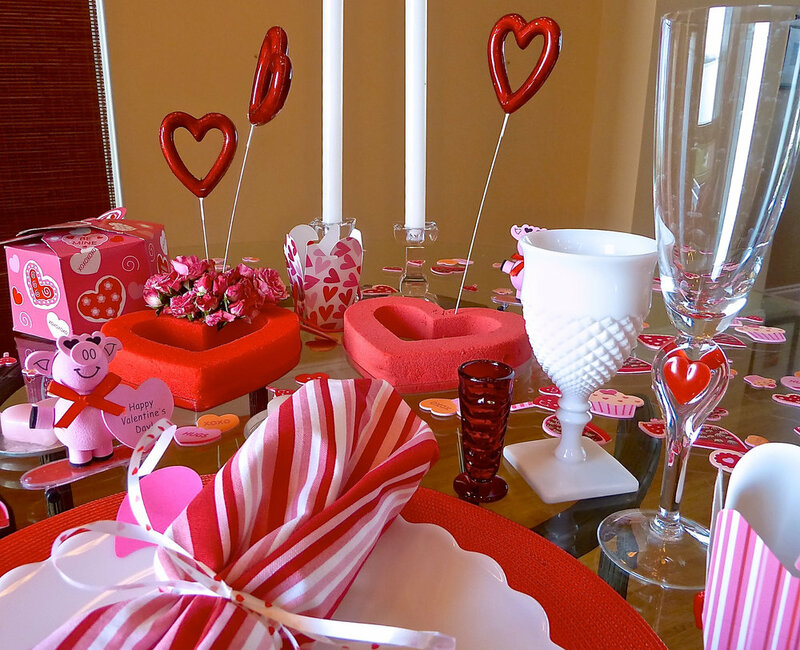 Any creative way to sweeten up V-day for all ages is a winner for the recipient and the giver.